It’s where you look forward to going at the end of a hard day. It’s the place that provides comfort, offers respite from the outside world: where you eat and sleep and share life. There’s no place like home, especially when it provides the safety, comfort and security you want for your family and yourself. When it fails to provide the level of security necessary to maintain your family’s peace of mind, your home becomes an uncomfortable place. There are few events in life that make an individual feel more vulnerable than to have their home’s privacy violated without their knowledge. Coming home to a home ransacked by an intruder is a sickening feeling. D&S Security can help you avoid that ugliness. Since 1987, D&S Security has been providing, installing and monitoring state-of-the-art security systems in homes throughout California and neighboring states. As security technology has evolved, so has the products and solutions offered by D&S. We embrace new innovations that improve the quality of security solutions we can provide to our clients and stay up-to-date on the latest and greatest offerings within our industry. no one gets in unnoticed. Thieves look for the right opportunities to strike. They watch home activity to determine when you’re there…and when you’re away. With our remote control and alarm system access using our smartphone app, thieves will never know you’re gone. 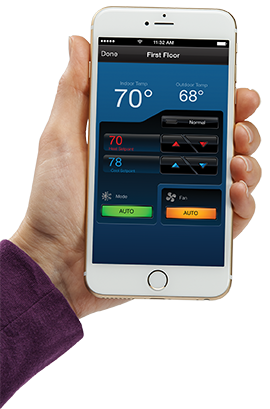 Receive notification if a window is left open…and even adjust your thermostat to compensate. Receive notifications should your alarm go off. Know exactly what’s going on with smart alerts that tell you what door or window was opened at what time, where a leak was detected, etc. 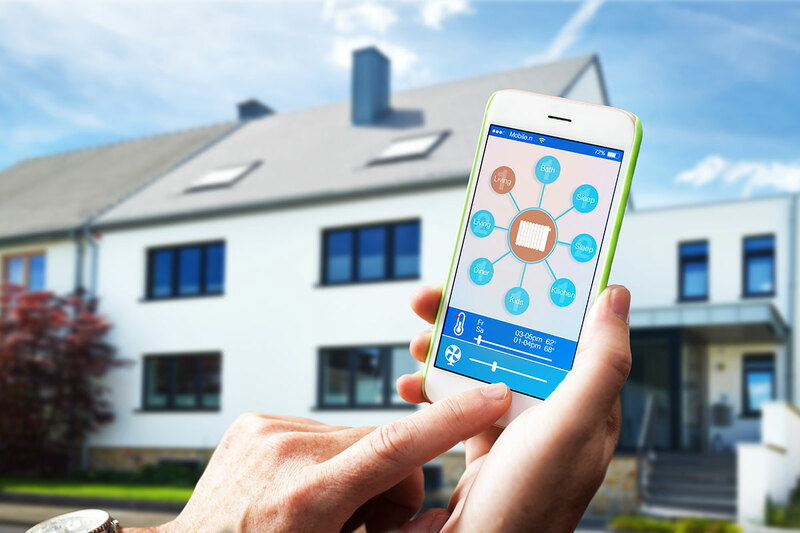 The advent of advanced wireless technology has opened up a world of conveniences to homeowners who choose to take advantage of amazing interactive services. Imagine arriving from an extended vacation to a home that’s heated or cooled to its normal occupied temperature.Instead of entering a dark home, the lights are on minutes before you pull into the driveway. Remotely unlock your door or provide a temporary code for guests, service providers or anyone you want to let into your home when you’re not there. Peace of mind…even when you can’t be there. Would you like to know EXACTLY when your children get home, even when you can’t be there? D&S can make sure you receive a notification via text or email that lets you know when your child arrives home. We can even let you know WHICH child gets home first.Want to make sure it’s them? 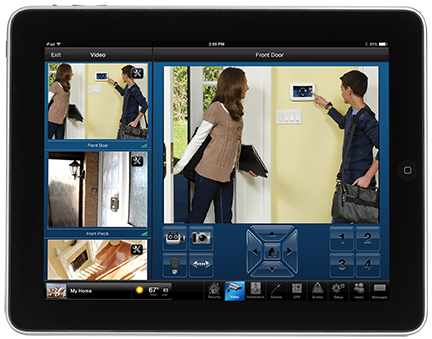 With the right video system, you can watch them enter your home on your smart phone, tablet or computer. You’ll be amazed at the many, many ways D&S Security can give you and your family the convenience and peace of mind you want.